So, I better say sorry now for late post (again) on upcoming days ;) though I probably hang out with my family on super long holidays. I'm still confuse with my hair colors. It looks a little bit brown/red when the camera's getting closer, but it looks darker when the camera a little bit far. I really love the color of your heels! Have fun during your holiday! very very cute look. i just love those pumps so much. Love your outfit dear, its lovely!The color combination is perfect! Love this outfit! 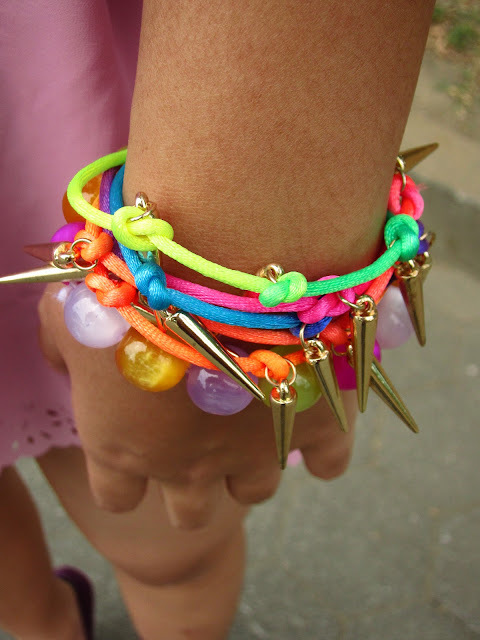 The colours are so cute, and the bracelets and the herls bring a nice touch to it! i love the lime green top!! Love your outfit, everything is so so nice!